I note that in your column you recommend running the boiler on the “24 hour” setting at low temperature during cold spells. Why is this please? And would this not imply that boilers are conventionally run too hot? The point of the exercise is to try to prevent condensation, because when condensation occurs, every time the heating system starts up, it first has to use energy to evaporate the condensed water, before the energy can go towards heating the house. Remember that condensation is not something that occurs only on window panes – it forms chiefly within the fabric of the walls, thus lowering their thermal insulation value. That’s why I suggest aiming to keep the radiators constantly warm, rather than cycling them from cold to very hot and back again. Think of the motoring analogy, where everyone agrees it is more fuel-efficient to drive at a steady speed rather than continually stopping and starting. Does this mean that the rooms would need a thermostat in addition to adjusting the individual radiator valves? If they do – and I only have the radiator valve thermostats – what is the best thing to do, please? Every central heating system should have a room thermostat. There is no way to operate it efficiently without one. They cost as little as ten pounds, and an experienced heating engineer should be able to fit one within a couple of hours. You mentioned turning down the boiler and turning the radiator thermostats fully open. We have a condensing boiler and British Gas advised the opposite. That is, turn up the boiler so that we get the fuel-economy of a condensing boiler, and turn down the radiator thermostats. They say condensing boilers don’t work efficiently on low heat. Condensing boilers only really condense properly (thus extracting the waste heat from the flue gases) at a water return temperature of 54C to 56C. This is usually achieved by having a flow temperature (ie the water flowing out of the boiler) of around 70C. As the water flows through the radiators it gives up its heat to the rooms, thus returning to the boiler at a lower temperature. TRVs (thermostatic radiator valves) cause no end of problems, and I advise leaving them fully open. We have a couple of bedrooms which are seldom used where we keep the radiator valves turned down to 1. Is this economical in your opinion? In my opinion, no. A common thread of the government propaganda is that money can be saved by heating only some rooms. But this is bound to create condensation problems in the unheated rooms. 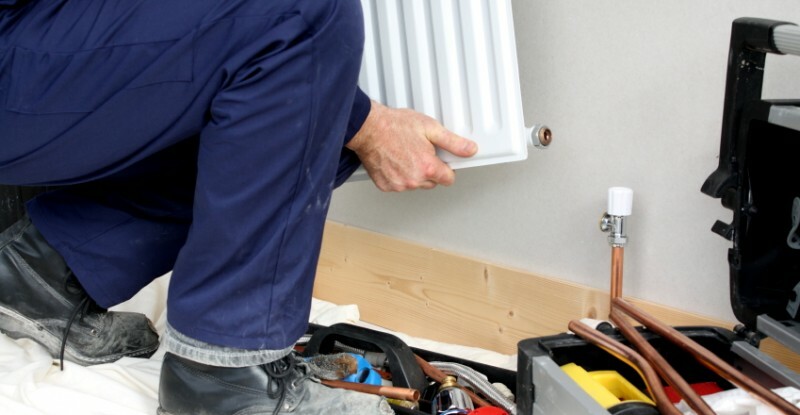 This will not only result in boiler inefficiency – as described above – but the consequent mould damage and redecorating costs will soon use up any minor savings on fuel. Keep your home warm and dry throughout, and it will save you money in the long run. You advise turning the boiler thermostat down to “min” or 1. Will this not affect the temperature of domestic hot water in a hot-water cylinder fed from the boiler? On most conventional boilers the lowest thermostat setting will still be above the 60C British Standard temperature for hot water (which is controlled by the hot-water cylinder thermostat). Naturally, if you try this method and find that your hot water is cooler than 60C, then turn the boiler thermostat up a notch. Keep experimenting until you find the right settings for your boiler and house. What boilers do you recommend? Theres a lot of choice when buying boilers and I always recommened buying a system boiler with the use of a hot water cylinder.